← …get out of the kitchen. Our favourite farmer’s market opens this morning, and we can’t wait to go. Situated in a beautiful spot and surrounded by walking trails and great views, this market also has great coffee, live music, and planned activities for children. Oh, and the produce on offer is pretty great too – although, as what I have written so far will tell you, I don’t really go to the farmer’s market for the produce. I go for the inspiration, the colours and sounds and smells; for a great cup of coffee and a hand-held breakfast enjoyed in the company of people who are as into food as I am. I still can’t get over the abundance and diversity of things available to us in southern Ontario, and there is not a time of year more inspiring than this one. 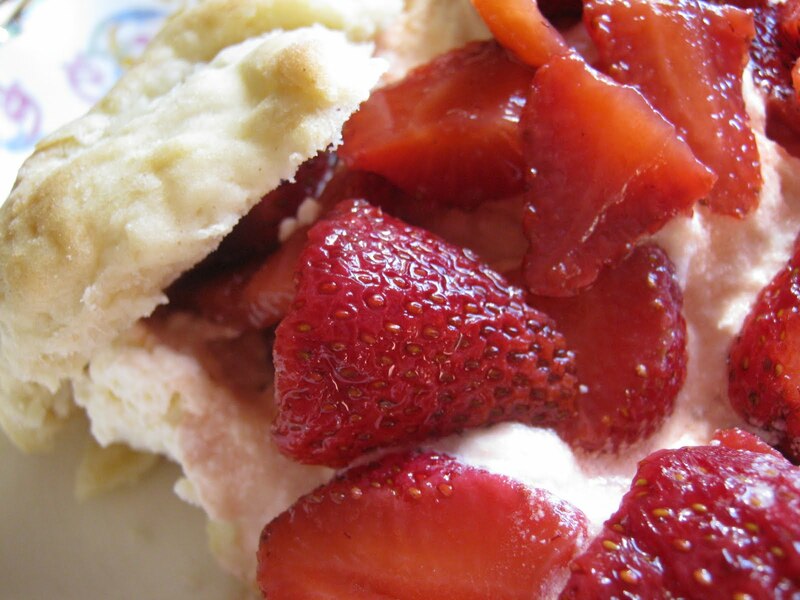 There are three components to this heavenly supper – I start by making the shortcakes in the morning, before it gets too hot; then I get the strawberries ready and let them sit, covered, in the least warm part of the kitchen. Just before we eat, I whip the cream. In a large bowl, sift together flour, baking powder, and baking soda. Cut in butter until mixture resembles coarse sand. Stir in milk, vanilla, and sugar until dough just barely comes together. Turn dough out onto a floured surface and knead 11 times (not more, not less! This is the secret to perfect shortcakes!). Roll dough into a rough rectangle, and cut into 8 pieces. Gently pat the pieces into rounds and place on a parchment-lined baking sheet. Bake 8-10 minutes, until golden. Cool completely on a rack. 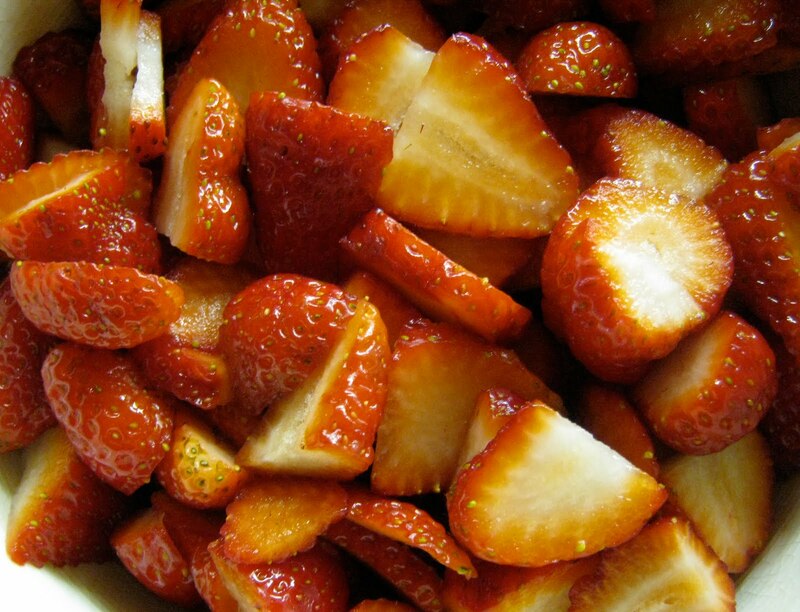 In a large bowl, combine strawberries and sugar and toss well. Cover and set aside for a few hours. Whip all ingredients together until soft peaks form.